A fiery sauce from Portugal. Perfect for shrimp, chicken, or beef. Keep your empty olive oil bottles for when you make this sauce. 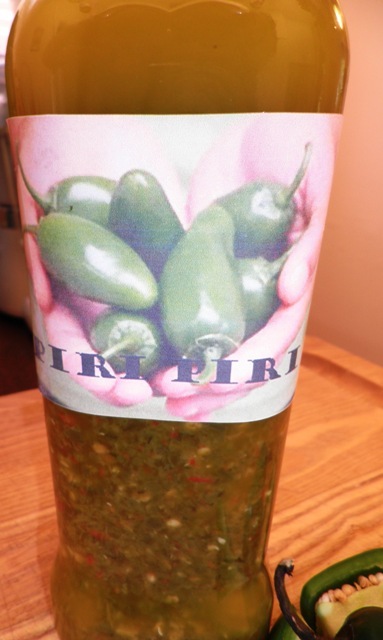 It’s so delicious and will add a nice peppery taste to any dish. Combine everything except the garlic in a medium saucepan over high heat. Cook for 4 minutes while stirring constantly. Remove from heat and stir in garlic. Bring to room temperature. When cooled, pour into the food processor and pulse 15 times. Pour through a funnel into the empty olive oil bottle and close with lid. Let sit on counter for 7 days before using. No need to refrigerate. Keeps up to 2 months. 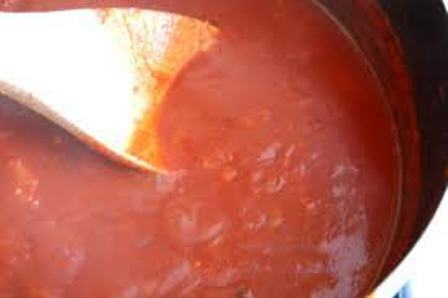 Marinara sauce goes with so many different dishes. Meatball subs, spaghetti, appetizers like fried cheese to name a few. Heat oil in a pot over medium high heat. Add peppers and onions and cook for 8 minutes or until tender. Add garlic and cook an additional 2 minutes. Add ripe tomatoes and remainder of ingredients and stir. Bring to a boil and then reduce heat to a simmer and cook for 20 minutes. Red peppers are so good for you. It will also go well with pasta, fish, and much more. Place the red bell pepper on a foil lined baking sheet. Bake for 30 minutes turning to roast on all sides every 10 minutes. When done remove from oven and place in a covered bowl to trap heat and steam. This will make the peeling process easier. Cool completely peel, cut in half and remove all seeds and ribbing. Chop the red bell pepper into small bits. 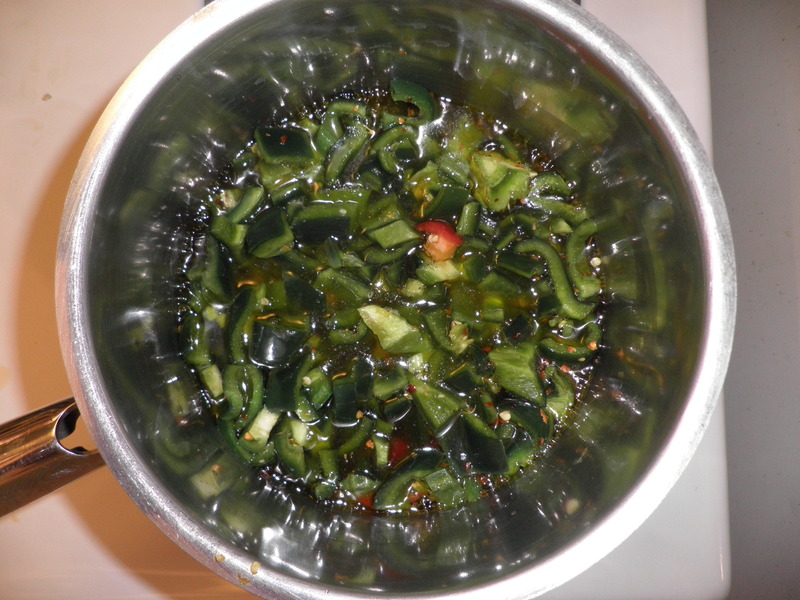 Meanwhile, saute green onions in a saucepan with the butter and then add red bell pepper. Add the chicken stock and simmer for 5 minutes. Remove from heat and allow to cool a little. Pour mixture into a blender until well blended. Pour mixture through a fine metal strainer over saucepan and be sure to stir through strainer until all liquid is in saucepan. Place back on burner and bring to a simmer. 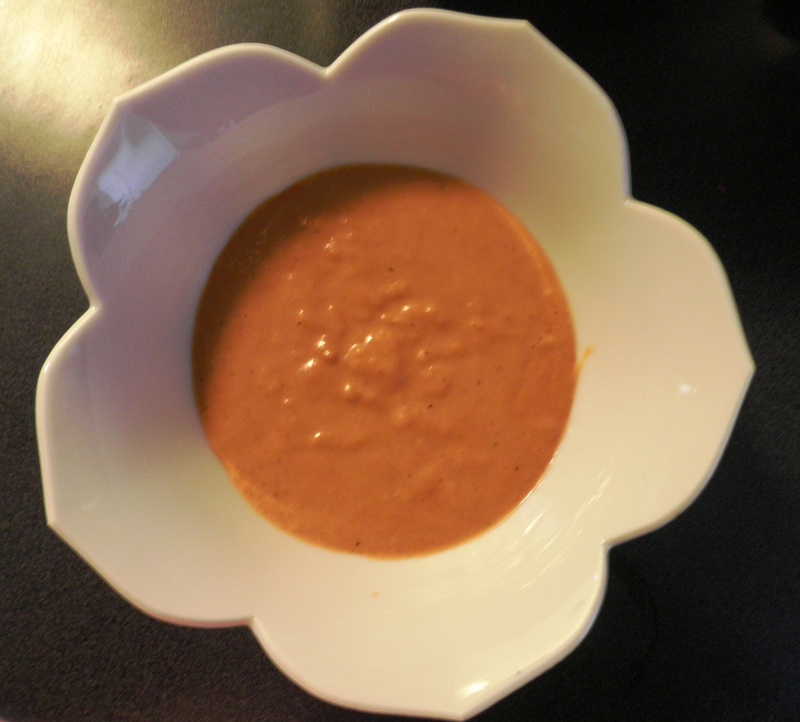 Add cayenne pepper, cream, and tomato paste and whisk together until incorporated. Heat and serve. 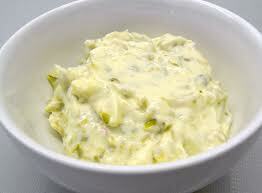 Why buy a jar of tartar sauce when a fresh sauce is so easy to make. Whisk all ingredients in medium bowl to blend. Season with salt and pepper. Cover and chill at least 1 hour. 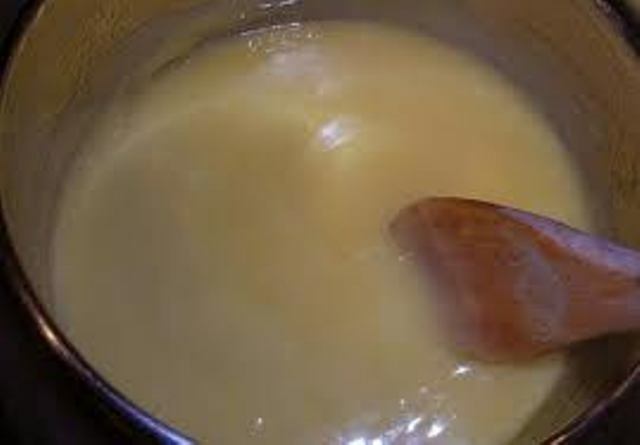 Make any fish, vegetable or egg dish so much better with this creamy hollandaise sauce. Put yolks in a food processor and blend, add butter a little at a time until incorporated. Add the lemon juice and stir. Pour over your choice of dish. Make and enjoy your own enchiladas. 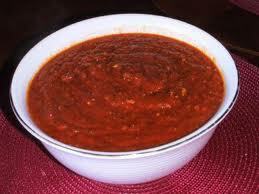 This is the perfect sauce. Another one of my mother’s needed recipes. Heat the oil in a non stick pan over medium high heat. Stir in flour and chili powder, reduce heat and and stir to prevent burning until lightly browned. Gradually stir in the remaining ingredients into the flour and chili powder mixture until smooth. Cook over medium heat for around 10 minutes.